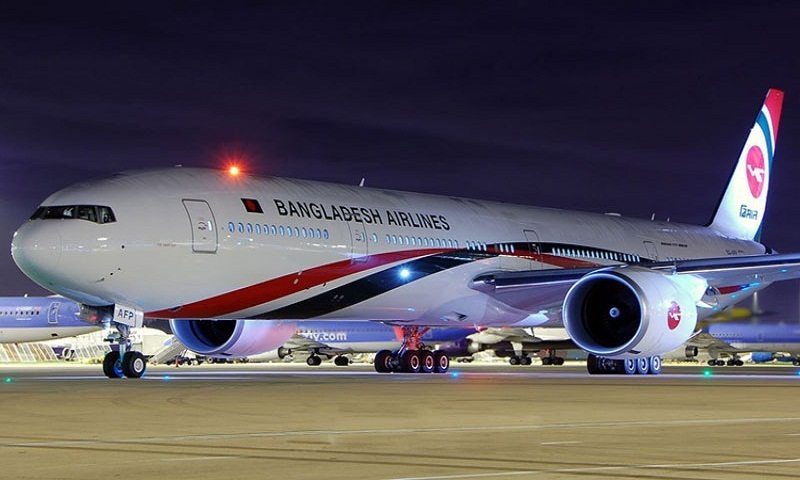 The Prime Minister’s Office has directed for the compulsory use of Biman Bangladesh Airlines on the routes where the national flag carrier operates flights for air trips at government expense. It issued a notification on Wednesday in this regard. The notification says ministers, state ministers, deputy ministers, MPs, those holding constitutional posts, chairmen, members and officers of the commissions constituted by the government, and officials and employees of ministries, divisions, semi-government and autonomous bodies, statutory organisations, corporations, constitutional agencies and different projects muse use Biman for air trips at the expense of government on all routes where it operates flights. However, they will be allowed to board flights of other airlines on the routes where Biman does not operate any flight, reports UNB.